The Great War is all about capturing the 5 statues in the map. The maximum number of statues captured by the faction for the longest duration will win the war and a reward will be given to all the Wining and the losing faction members. Once on the mentioned timings a notice will be given before the Great War is started and users will be given about 10 mins to enter the Faction war map. Once the 10 mins are over users may not able to join the faction war map. 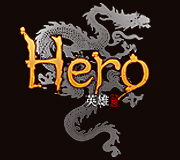 To enter the map users have to find the HERO BATTLE MANAGER in the faction districts of Shao/Zhuang. Once you communicate with the Hero battle manager in your faction district and select the ��Enter Great War �� which will teleport the character to great war battleground. As soon as the Fight starts, each faction will be rewarded with 10000 point as the 5 statues are captured the opponent faction will lose some points .Players are supposed to rush towards the five statues which are placed in different corners of the map and capture it by just standing near the statue. The Number of Statues captured will be displayed on the right-hand side near the mini-map. The Colour reprents in short the faction which had captured, if the statue is red in color meaning the Shao faction had captured the statue, if the Statues near the mini map are in blue in color then Zhuang has captured the statue. Once an opposite faction player come to captured statue, users may have to defend there statues you will have to kill him before he occupies your statue. The maximum number of point remaining for a faction before the time runs out will win the war. When a player dies he will be respawned to his faction safe zone. As the Great war starts there are 2 points to be noted, Users will have to safeguard there Faction lord and defend/conquer Guard stones from the oppenent faction members. Note: The faction who neglects to safeguard his faction lord will pay the ultimate price of losing 1000 points from there total points. The members will be rewarded a Hero Battle Gem Box *2 and 20 battle coins and Hero battle gem box*1 and 10 battle coins for the Losing faction.